Oops! I snapped a photo of this camel at the wrong moment! Even the camel on the left thought it was pretty funny, too! This week’s weekly photo challenge is to post one of our photographic Oops moments! 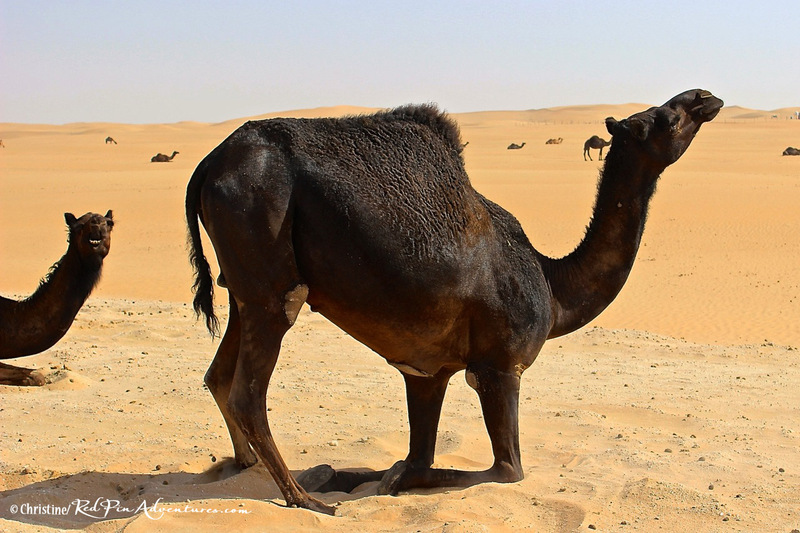 This camel in The Empty Quarter Desert was laying down and suddenly decided to stand up. However, they stand up in such an awkward way that this shot ended up looking pretty funny. The best part was later seeing the grin on the other camel to the left once I downloaded the photo! This entry was posted in Adventure, Photography, Travel, Uncategorized and tagged Abu Dhabi, nature photography, Red Pin Adventures, Weekly Photo Challenge. Bookmark the permalink. I agree – they are so clumsy looking and yet they do get the job done!! Good choice fo rthe challenge. this is a great challenge – way to go!